Carpenter, Elizabeth. Introduction to On Performativity, edited by Elizabeth Carpenter. Vol. 1 of Living Collections Catalogue. Minneapolis: Walker Art Center, 2014. http://walkerart.org/collections/publications/performativity/introduction. 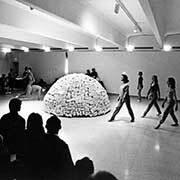 Merce Cunningham Dance Company, Canfield, 1969, performed in Mario Merz exhibition galleries, Walker Art Center, 1972. ©1972 James Klosty. In its attempt to come to terms with this topic, this volume has generated more questions than answers. Perhaps the most pressing question is that of how a collecting institution such as the Walker, with its vital and internationally renowned performing arts programs and commissions (including dance, music, and experimental theater),2 might go about transforming its acquisition strategies to include the collection of not only “performative objects” but performance itself.3 In 2010, the Walker took its first steps toward this potentiality with the acquisition of Tino Sehgal’s This objective of that object (2004), one of the artist’s most logistically and conceptually complex “constructed situations” to date. A first in the Walker’s august history of collecting performance, this purchase will undoubtedly also long be recognized as one of its most controversial and unorthodox, as nothing was actually accessioned but the oral production instructions for a future gallery rather than stage-based event. In my essay “Be the Work: Intersubjectivity in Tino Sehgal’s This objective of that object” in this volume, I discuss the economic impact of Sehgal’s gambit. As he set about building the cycle of production, distribution, and consumption of his art, he insisted that the work not stand apart from or in opposition to the customary operations of the art market, arguing that in order for the artist to support himself, the output of his labor (the artwork, his product) had to be purchased. Perhaps the most pressing question is that of how a collecting institution such as the Walker, with its vital and internationally renowned performing arts programs and commissions, might go about transforming its acquisition strategies to include the collection of not only performative objects but performance itself. With these two models for collecting performance represented by the Walker’s investment, intellectually and financially, in the art of Sehgal and that of Eiko & Koma, we join other like-minded institutions around the world who are in the position to reconcile the challenges facing the art world regarding the historicization, canonization, institutionalization, documentation, possession, preservation, and presentation of performance and, by extension, of the objects that it often leaves behind. 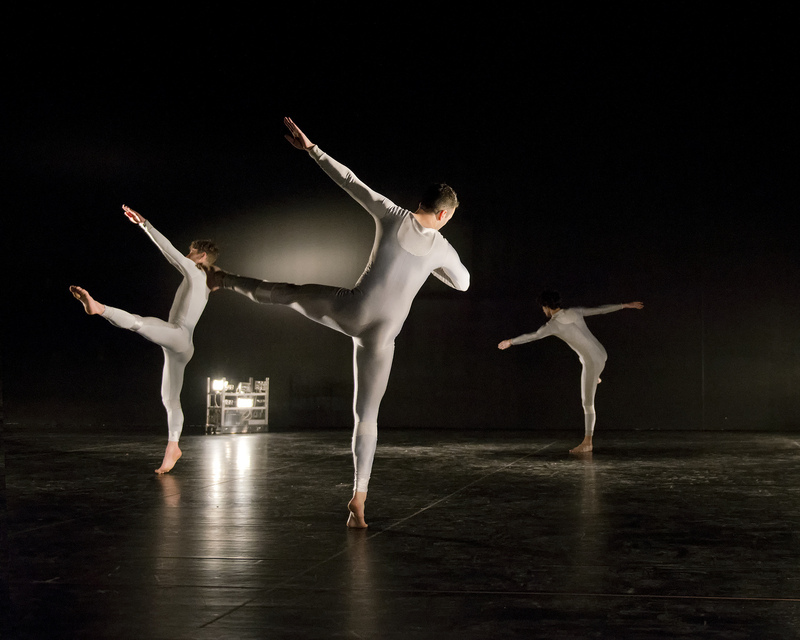 The Trisha Brown Dance Company, Astral Convertible, 1989, rehearsal in McGuire Theater, Walker Art Center, March 2014. Photo: Alice Gebura. 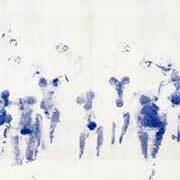 Merce Cunningham, Summerspace, 1958. Installation view, Art Performs Life: Merce Cunningham/Meredith Monk/Bill T. Jones, Walker Art Center, 1998. Merce Cunningham gallery. Installation view, Art Performs Life: Merce Cunningham/Meredith Monk/Bill T. Jones, Walker Art Center, 1998. Bill T. Jones, Secret Pastures, 1984. 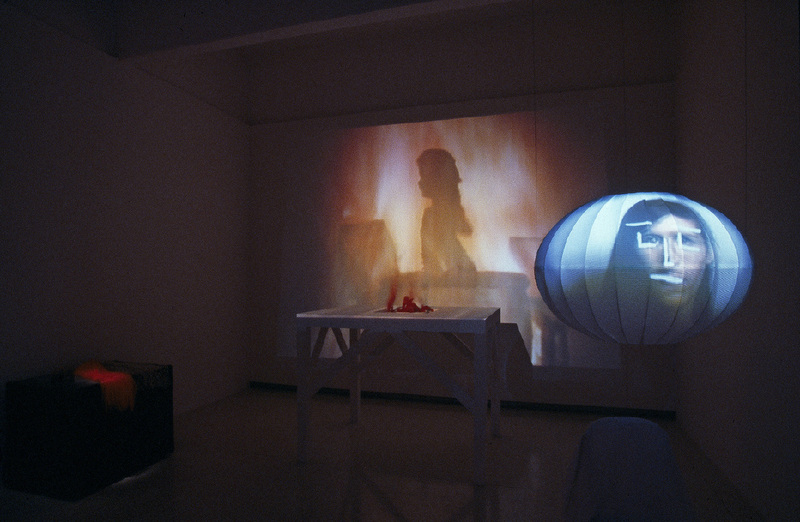 Installation view, Art Performs Life: Merce Cunningham/Meredith Monk/Bill T. Jones, Walker Art Center, 1998. Meredith Monk, 16 Millimeter Earrings, 1966/1998. Installation view, Art Performs Life: Merce Cunningham/Meredith Monk/Bill T. Jones, Walker Art Center, 1998. 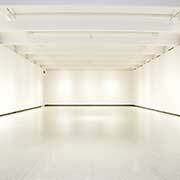 Meredith Monk gallery. 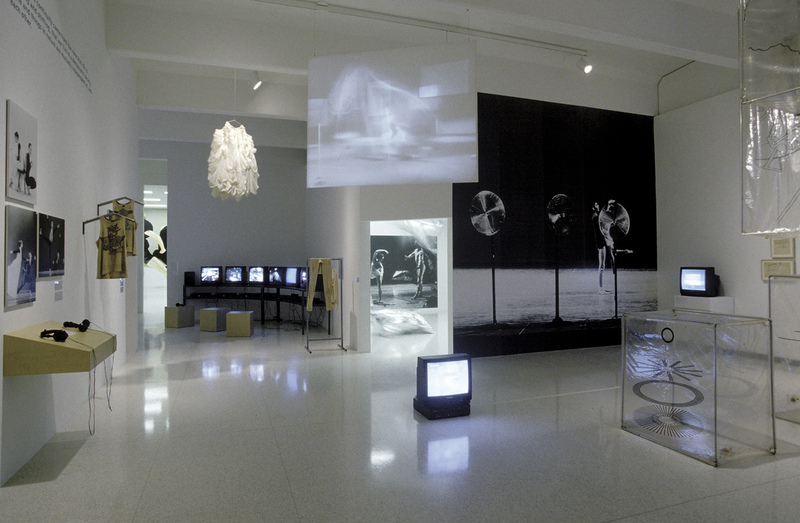 Installation view, Art Performs Life: Merce Cunningham/Meredith Monk/Bill T. Jones, Walker Art Center, 1998. 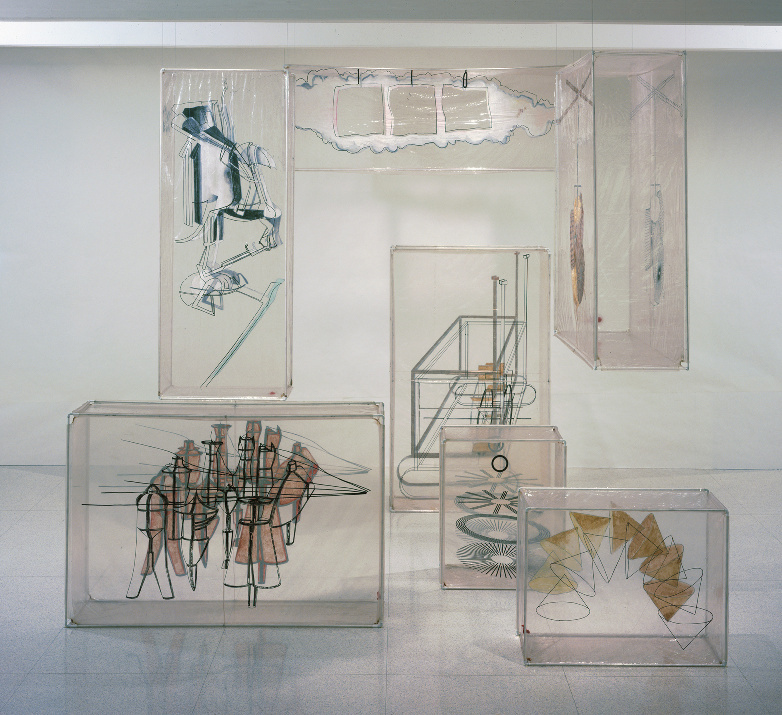 In the wake of this landmark exhibition, the Walker acquired the stage set for Merce Cunningham’s 1968 dance performance Walkaround Time, which was designed by Jasper Johns using images from Marcel Duchamp’s The Bride Stripped Bare by Her Bachelors, Even (The Large Glass) (1915–1923). Unprecedented in the history of the permanent collection, the purchase immediately created a heretofore unfamiliar conundrum: how to contextualize a performative object by one of the most important artists of the twentieth century who adamantly disavowed the piece as a work of art.7 Much progress has been made since then in creating a historical and theoretical basis for the introduction of performative objects into the galleries, and this formerly fraught situation is now normative. 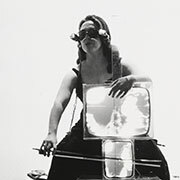 In fact, the Walker’s commitment to these issues (and artists) has only continued to grow, perhaps most dramatically through the 2010 acquisition of Meredith Monk’s remarkable stage set for 16mm Earrings (1966/1998), which was reconstructed for the Art Performs Life exhibition, and the acquisition in 2011 of the Merce Cunningham Dance Company Archive that comprises more than 3,500 examples of costumes, set décor, and backdrops from nearly every dance choreographed by Cunningham since 1942. Since then, curators have sought to display and acquire artworks that span the Walker’s areas of collecting and programming, and opportunities to collect cross-departmentally are pursued as a matter of course. It remains a priority and a challenge to identify artworks that pose difficulties in categorization. Indeed, increasingly since the early 1990s, one focus of the Walker’s acquisitions has been historical objects from the 1950s through the 1970s by artists whose performative practices resulted in paintings, sculptures, installations, props, relics, photographs, films, and videos. 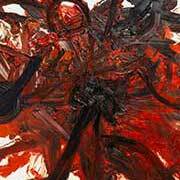 Examples from the Walker’s collection include objects that were related to or arose from Happenings (Claes Oldenburg); Japanese Gutai (Shozo Shimamoto, Kazuo Shiraga, Atsuko Tanaka); Nouveau Réalisme (Yves Klein, Daniel Spoerri); Hi Red Center (Genpei Akasegawa); Viennese Actionism (Otto Muehl, Hermann Nitsch, Rudolf Schwarzkogler); Fluxus (Joseph Beuys, Alison Knowles, George Maciunas, Yoko Ono, Nam June Paik, Ben Vautier); Neo-Concretism (Lygia Clark); conceptualism (Robert Barry, Lynn Hershman Leeson, Adrian Piper); Body Art (Ana Mendieta); and video art (Vito Acconci, John Baldessari, Dara Birnbaum, Dan Graham, Paul McCarthy, Bruce Nauman, Martha Rosler, Carolee Schneemann). While the collection is not comprehensive in this area, it presents a somewhat patchy but nevertheless informative genealogy of some of the key players in the history of performative practice. Jasper Johns, Set elements for Walkaround Time, 1968, plastic, paint, installed dimensions variable. Collection Walker Art Center, T. B. Walker Acquisition Fund, 2000, 2000.404. Art ©Jasper Johns/Licensed by VAGA, New York, NY. 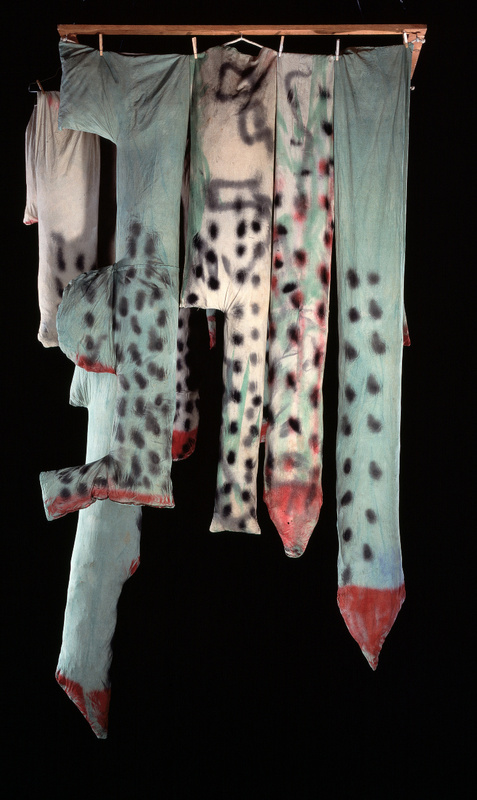 Claes Oldenburg, Upside Down City, 1962, muslin, latex and spray enamel, newspaper, wood, clothespins, wire hangers, 118 x 60 x 60 in. (299.7 x 152.4 x 152.4 cm). 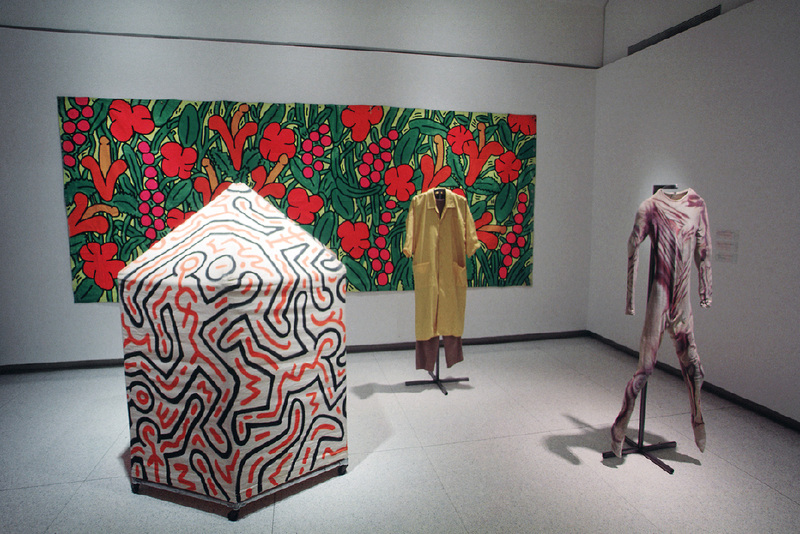 Collection Walker Art Center, Purchased with the aid of funds from the National Endowment for the Arts and Art Center Acquisition Fund, 1979, 1979.24. ©Claes Oldenburg and Coosje van Bruggen. Otto Muehl, untitled, 1965–1966, black-and-white photographs mounted to paper, 2 x 8 ¼ in. (5.1 x 21 cm) sheet. Collection Walker Art Center, Gift of Hubert Klocker, 2000, 2000.29. ©Otto Muehl/Artists Rights Society (ARS), New York/ADAGP, Paris. 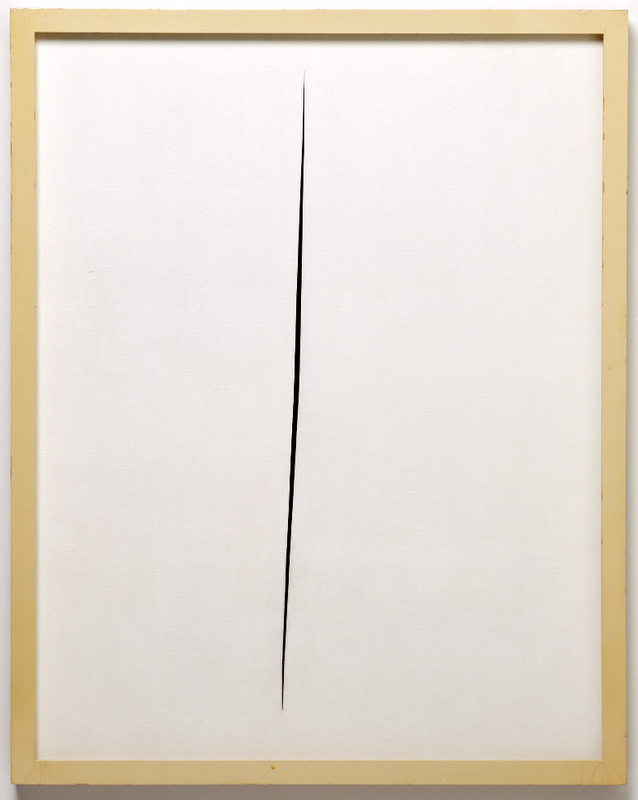 Lucio Fontana, Concetto Spaziale—Attesa (Spatial Concept—Expectation), 1964–1965, tempera on canvas, lacquered wood, 58 ¾ x 46 x 2 ⅜ in. (149.2 x 116.8 x 6 cm) framed. Collection Walker Art Center, T. B. Walker Acquisition Fund, 1998, 1998.113. All these milestones and epistemological narratives come together in the gestalt that is the Walker’s multidisciplinary collection. Another goal of this publication is to present in-depth, primary research and writing on specific works that operate under the umbrella of performativity, complemented by newly commissioned essays by leaders in the field. In order to broaden the discursive scope, we asked Philip Auslander, Dorothea von Hantelmann, and Shannon Jackson to write texts on performativity as it pertains to their distinctive areas of concern. In an essay titled “Performativity and Its Addressee,” Jackson, a scholar specializing in rhetoric and contemporary visual and performance art and theory, provides us with an important and necessary grounding in the topic of performativity through the position and role of the receiver (i.e., the audience, beholder, visitor, interlocutor, participant, spectator). She explores the frames and stakes of both the intermedial and reality-making contexts of performative practice while clustering her reflections around selected artworks and thinkers from the mid-twentieth century to the present. She argues for a precise and varied vocabulary for the wide variety of expanded, cross-media practices that we now encounter regularly in museums, on stages, and in the streets. 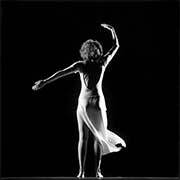 Her focus ultimately is on three different historical moments that are framed by “performative” vocabularies: the “action turn,” the “Minimalist turn,” and the “relational turn,” each one a performative speech act with its own felicities and blind spots. How can “experience” advance to something like an artistic medium? How are experiences shaped in and by specific artworks? How do they produce meaning? In which way does this challenge the aesthetic experience of the viewer? In her essay “The Experiential Turn,” art historian and curator Dorothea von Hantelmann examines the increasing significance of “experience” in contemporary artworks from a twofold perspective. 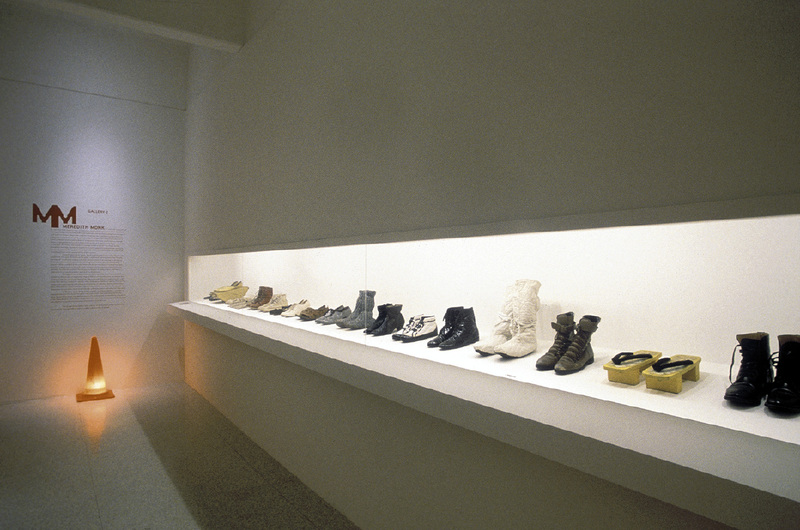 Starting with Minimalism and its orientation toward the phenomenological space in which art is presented and experienced, and continuing with artists such as James Coleman, Robert Irwin, and Tino Sehgal, she frames the artistic focus on the creation of experiences from the 1960s to the present. 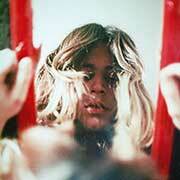 She poses the following questions: how can “experience” advance to something like an artistic medium? How are experiences shaped in and by specific artworks? How do they produce meaning? 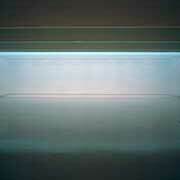 In which way does this challenge the aesthetic experience of the viewer? Second, von Hantelmann argues that art’s so-called experiential turn—along with the new focus on the perceiving, experiencing subject that comes with it—resonates with the fundamental economic and cultural transformations of Western bourgeois industrial societies in the late twentieth and early twenty-first centuries. Referencing sociological texts such as Gerhard Schulze’s Experience Society, she makes the case for the artistic shift to the creation of experiences, which has become a central focus of cultural, social, and economic activity. Through the contents of this catalogue, we enter the current discursive fray, in which the topics of performance and performativity have received increased attention, as evidenced by the conspicuous proliferation of international museum exhibitions, acquisitions, and publications; academic and curatorial symposia; university programs offering degrees and curatorial certificates in performance studies; and the evolution of a major biennial, Performa, which debuted in 2005. While the nuances, complexities, and contradictions inherent to the topic of performativity can seem challenging and unwieldy, with this volume we hope to make clear that creative risk-taking and an openness to collaborative, interdisciplinary thinking have been hallmarks of the Walker’s programming and collecting, as well as its mission, for nearly half a century. These principles have stood us in good stead as we continue to question how and what we collect, and stay open to and respond to developments in the expanded interdisciplinary field. Elizabeth Carpenter is an independent curator and scholar. She came to the Walker from the Solomon R. Guggenheim Museum, where she was on the curatorial team responsible for the exhibition and catalogue Robert Rauschenberg: A Retrospective (1997). At the Walker she was curator of visual arts and collections from 2001 to 2013. During her tenure she organized numerous exhibitions, including Dance Works III: Merce Cunningham/Rei Kawakubo (2012), Frank Gaard: Poison and Candy (2012), Robert Irwin: Slant/Light/Volume (2009), Hélio Oiticica/Rirkrit Tiravanija: Contact (2010), and Frida Kahlo, which opened at the Walker in 2007 and traveled to the Philadelphia Museum of Art and the San Francisco Museum of Modern Art. She is currently a Walker adjunct curator working on an upcoming exhibition and catalogue with artist Katharina Fritsch. Carpenter holds an MA in art history from the University of Minnesota and an M.Phil. in art history from the City University of New York. 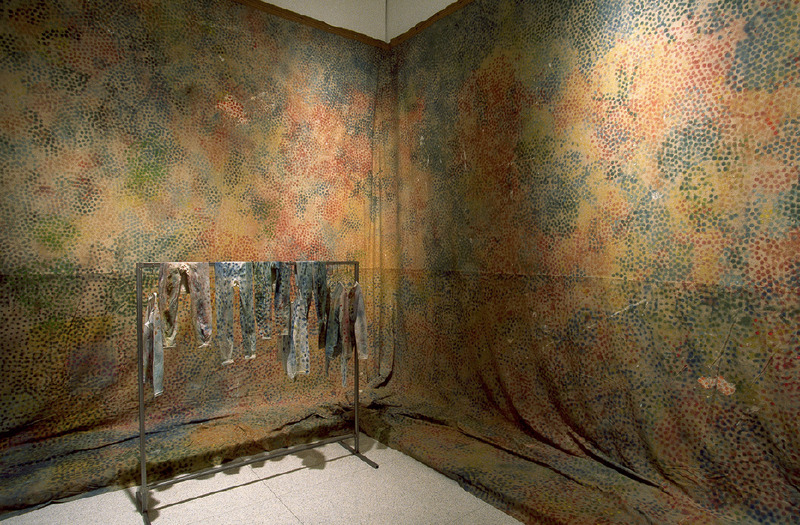 For detailed histories of the Walker Art Center’s performing arts and visual arts departments, see http://www.walkerart.org/performing-arts and http://www.walkerart.org/visual-arts. See Paul Schimmel, “Leap into the Void: Performance and the Object,” in Out of Actions: Between Performance and the Object, 1949–1979 (Los Angeles: Museum of Contemporary Art; New York: Thames & Hudson, 1998), 17–119. Schimmel, the curator of the exhibition that this volume accompanied, used the term “performative object” throughout his essay to refer to objects produced in or for performances, which ultimately came to be seen not only as traces or relics but also as artworks in their own right. See Philippe Vergne et al., Art Performs Life: Merce Cunningham / Meredith Monk / Bill T. Jones (Minneapolis, MN: Walker Art Center, 1998). 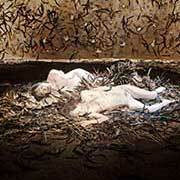 Kathy Halbreich, foreword to Art Performs Life, 4. Despite the interest in this acquisition and the accolades the Walker received for it, there were inherent institutional challenges associated with it, challenges that continue to be addressed to an even greater extent with the addition to the collection of the Merce Cunningham Dance Company Archive. Faced with such questions as how to determine market value for purchase and insurance purposes, how to properly conserve and store the objects, and how to categorize the collection (archive or permanent collection? ), the Walker has had to assume a leadership role in determining best practices. Perhaps the most exciting and daunting question is that of the integration of the collection—how do the “non-art” Cunningham costumes, backdrops, and set décor (objects) interact with the various collections currently in our possession, and how do we leverage this collection as a prototype for truly “cross-departmental” collecting? Michael Rush, “A Noisy Silence,” PAJ: A Journal of Performance and Art 21 (January 1999): 7. Ibid., 2. This question circulates throughout the current literature, including Rush’s article. Philip Auslander, “The Performativity of Performance Documentation,” PAJ: A Journal of Performance and Art 28 (September 2006): 1–10. John R. Searle, “A Taxonomy of Illocutionary Acts,” in Language, Mind, and Knowledge, ed. Keith Gunderson (Minneapolis, MN: University of Minnesota Press, 1975), 346.